PFS extensive firearms expertise has seen us instructed in complex, sensitive and high-profile cases in the UK and across the globe. 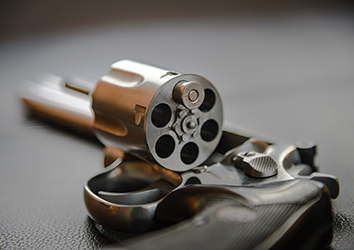 Our expert witness testimony has been pivotal in the full range of firearms offence cases. We have played a vital role in the interpretation of firearms law in complex technical cases and have advised both the Home Office and Law Commission on firearms classification matters. We also have an in-depth knowledge of all firearms licensing compliance issues and hold Home Office Section 5 approval that enables us to examine all forms of prohibited weapons and ammunition. We can prepare reports for use in criminal and civil cases involving many types of firearms, ammunition and imitation firearms, including airguns, hand guns, stun guns, deactivated weapons, shotguns and rifles. Civil, criminal, military or coronal case investigations. Critical review of prosecution protocols, methodology and reports. Consideration of alternative hypotheses. Classification of all alleged firearms and ammunition – is it an antique firearm? Is it a disguised weapon? Is it a component part of a firearm? Does the mandatory minimum 5 year sentence apply? Is an air gun specially dangerous? Have the police used calibrated equipment traceable to accepted standards? Have the police concerned the uncertainty of measurement? Interpretation of shooting incidents with trajectory reconstruction analysis. Mechanical condition of firearms – does a gun have a propensity to discharge accidently? Determination of the type of gun used - could another type of gun have been used than the one suggested? Determination of how many guns used- comparison microscopy analysis. Range of fire determination – homicide or suicide? Wound ballistics and autopsy findings review – could the injuries been caused during a struggle? The design, implementation and application of best practice. The design of firearms standards and competency regimes. The design of bespoke on-going competency testing systems. The design and interpretation of competency/proficiency trials and development of recovery plans. The development and delivery of forensic firearms examination training modules. Driving forward quality and effectiveness in the forensic process. To drive forward quality and effectiveness in the forensic process utilising our unique experience and talent profile. In doing so we will support the CJS through impartial, reliable and cost effective solutions exploiting scientific advances where they present an advantage.